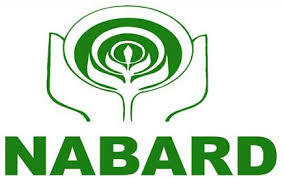 NABARD Jobs Recruitment 2017–18 for Enumerator, State & National Coordinator Posts: NABARD Consultancy Services Private Limited has Released Recruitment Notification for Enumerator, State & National Coordinator Vacancies. Interested for getting Enumerator, State & National Coordinator Vacancies. Candidates may Apply online Registration on or before 10-11-2017 hrs on wards. Qualified in Post-Graduation with minimum 55% marks or equivalent CGPA in Agriculture / Agriculture Engineering / Agronomy / Horticulture / Crop Science / Environment Science / Sociology / Social Work or any other related stream from a recognised University or Institution with 10 years of post-qualification experience in Rural/Social Development Sector. Candidates with prior experience of similar projects will be given preference for Post No.1, Bachelor’s Degree with minimum 60% marks / equivalent CGPA in Agriculture / Agriculture Engineering / Agronomy / Horticulture / Crop Science / Environment Science / Sociology / Social work or any other related stream from a recognised University or Institution with 05 years of experience in Rural / Social Development Sector post qualification for Graduates in relevant field for Post No.2, Diploma / Bachelor’s Degree with minimum 55% marks / equivalent CGPA (or higher with minimum 50% marks / equivalent CGPA) in Agriculture / Agri. Engineering / Agronomy / Horticulture / Crop Science / Environment Science / Sociology / Social work or any other related stream from a recognised University or Institution with 01 year of post qualification experience in Rural /Social Development Sector for Post No.3. Candidates age limit is 40 to 64 years for post No.1, 25 to 63 years for Post No.2, 21 to 45 years for Post No.3 as on 01-11-2017. Age relaxation is as per Govt rules. Interested candidates can apply online application forms by visiting the website on or before 10-11-2017 Hrs on wards. Last Date for Online Application: 10-11-2017 Hrs.